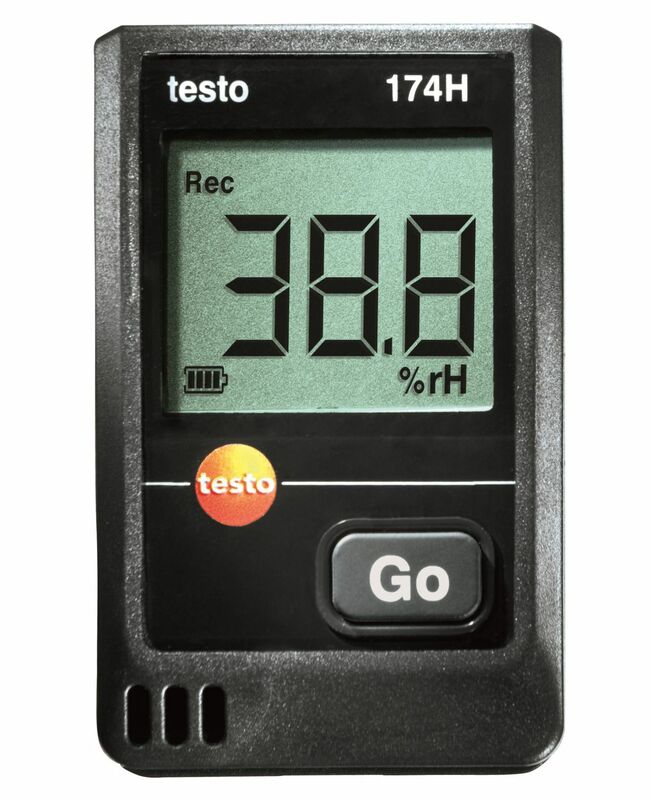 Compact, accurate, reliable: the testo 174H mini data logger measures and logs the air temperature and relative humidity in storage rooms and offices continuoulsy without interruption. 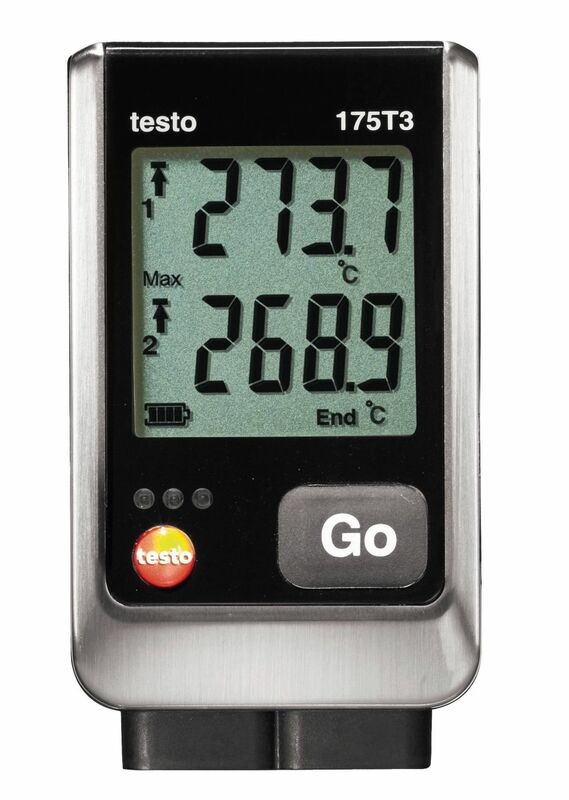 The testo 174 H mini data logger allows you to monitor temperature and humidity sensitive goods– including foods, archives or metal parts that are susceptible to surface rust – or carry out discreet humidity checks in buildings. The mini data logger has built-in long life sensors that can measure the temperature and humidity of the surrounding environment, a memory for upto 16,000 measurements and an easy-to-read display that shows the current reading as well as any breached thresholds. The standard batteries (2x CR 2032) included with the logger can be easily replaced by the user. * Not for condensing atmospheres. For continuous use in high humidity (>80 %RH at ?30 °C for >12 h, >60 %RH at >30 °C for >12 h), please contact us via our website.